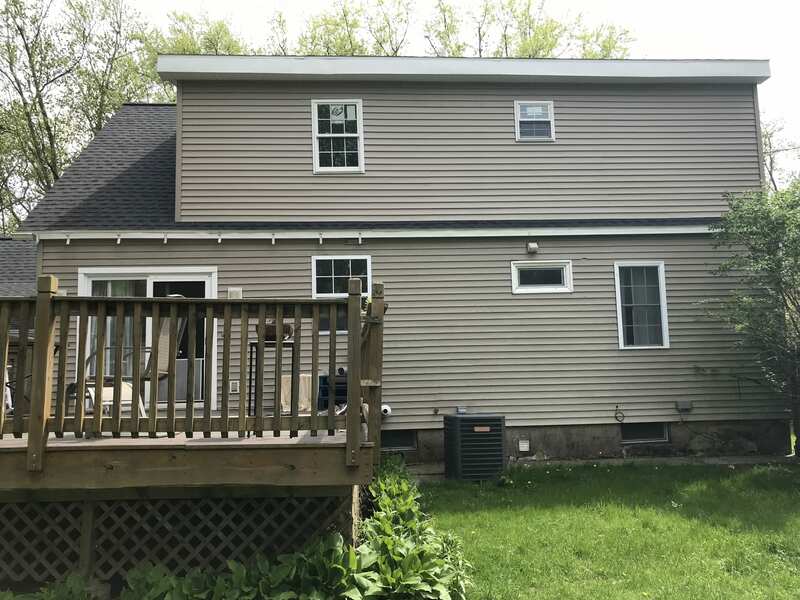 What Type of Siding Do I Need? As Albany’s siding expert, Infinite Roofing & Construction delivers expert craftsmanship and exceptional service that will ensure your siding installation is easy for you and beneficial for your home. We can install a number of different types of siding—the choice is yours to decide which type of siding is right for you. In this blog, we’ll discuss a few of the most popular types of siding, so you can make an informed and educated decision on the best siding for your home. Will it make my home more energy efficient? Does it fit the look of my home/yard? Does it fit my budget? Will the siding handle my area’s climate well? With these questions in mind, you’ll be able to pick the perfect siding for your needs. Metal siding is a very modern siding choice, which is great for those with big windows, flat roofs, or a mid-century modern style. Materials like aluminum and steel are very popular for metal siding because of their durability—after all, metal doesn’t mold, rot, or deteriorate with exposure to water or extreme weather conditions. Plus, it’s impervious to fire, color fading, and insects. The main downside of metal siding is its ability to rust when not properly sealed. But with proper treatment, your metal siding will be strong and brilliant for years to come. For some folks, metal siding is too cold, sterile, and unwelcoming. If you like a warmer, more natural look, wood siding could be the beautiful and timeless siding option you need for your home. There are many types of wood siding to choose from that can give your home an earthy and comfortable look, like rich and warm cedar siding or bright and airy birch. Add a stain to your wood siding, and the color and tone options are limitless. Unfortunately, wood siding can be pretty expensive, and it’s a potentially tasty treat for nearby termites. But with the right siding company on your side, you’ll be able to replace portions of damaged wood siding without too much hassle. The biggest downside to wood siding is its high maintenance nature—you’ll need to stain your wood siding every 2 or 3 years to keep it properly sealed. Fiber cement siding isn’t a hugely popular siding option just yet, but that doesn’t mean this real wood alternative doesn’t have benefits for your home. Made of cement, sand, and wood fibers, fiber cement siding is very popular in Australia, and is currently making its way over to the States because of its fire-resistant qualities, durability, and similarity to the look of real wood. Fiber cement siding is also very versatile in terms of texture, allowing for fiber cement to emulate the look of wood, brick, or vinyl siding. In comparison to vinyl siding, fiber cement siding can be expensive, high maintenance, and extremely heavy (it’s partially made of cement after all), so keep these things in mind if you’re looking to tackle a siding installation yourself. As the most expensive and most permanent siding option, brick or stone siding will last a lifetime, needs zero maintenance, and is resistant to basically anything Mother Earth can throw at it—but also requires a great deal of money and labor to install because it’s so heavy. If you’re willing to fork over the cash, you’ll feel like you’re living in your own personal castle with a stone or brick siding installation. Vinyl Siding is the most popular and versatile siding option on the market today, and for good reason. With a nearly limitless selection of colors and patterns available, vinyl siding is a great fit for almost any kind of home. It’s as durable as it is versatile with a 30-40 year lifespan, and unlike wood siding, it’s impervious to termites and weather decay. Plus, it’s incredibly easy to clean—just run some water over it with your garden hose. With all of these benefits to vinyl siding, you’d imagine it would be a pricey siding option. However, vinyl siding might just be the cheapest siding option on the market. The few downsides that come with vinyl siding have to do with its susceptibility to warping in extreme heat and cold, and its knack for developing dents from stray baseballs, falling trees, and hail. Other than that, vinyl siding is a fairly safe siding choice. If you want your home to look like it was delivered straight from a Tuscan vineyard, then stucco siding is the obvious siding choice. Made out of limestone, sand, and cement, stucco can be painted just about any color, and the look will last up to 100 years with very little maintenance. This type of siding is only suitable for drier, warmer climates, as heavy rainfall and high humidity can cause stucco to lose its shape and form. But if you’re in the right climate, nothing can beat stucco’s earthy, classic look. For any of your siding needs, choose the experts at Infinite Roofing & Construction. With over 20 years of experience and an exceptional attention to detail, Infinite Roofing & Construction can provide you with the siding you need for your Albany, Schenectady, or Troy home at a cost that’s right for you. Don’t wait—schedule your siding installation today!